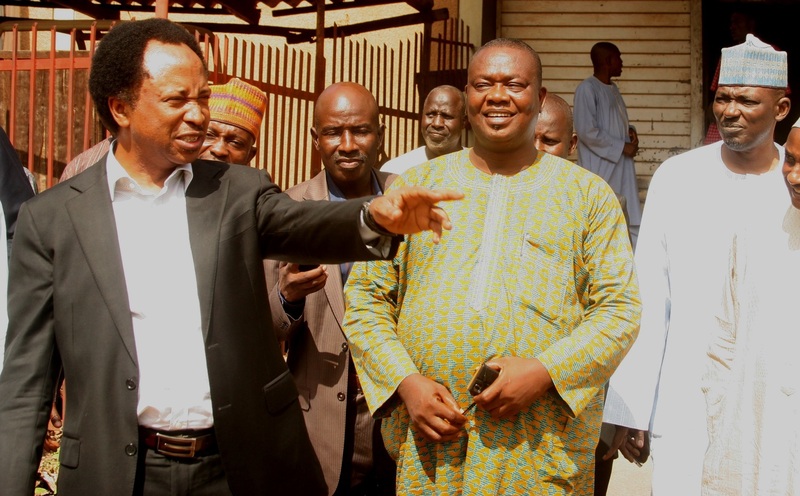 Senator Representing Kaduna Central and Chairman Senate Committee on Internal and Foreign debts, Senator Shehu Sani on Monday hinged the weeping state of facilities at National Eye Centre, Kaduna, on failure on the part of previous administrations. Activist turned politician, who stated this while addressing the management of hospital during an unscheduled visit, also expressed displeasure over the poor funding and unlawful encroachment of the hospital land, noting that the hospital is a national symbol in Nigeria hence the need to put it in proper perspective. Senator Sani described the situation where public officials and top government functionaries often embark on medical tourism abroad as unfortunate. While blaming previous government for neglecting the gigantic national eye centre built to take care of eye problems in the country, he quickly added that millions of foreign exchange that move out to the medical institutions outside Nigeria can be saved to imroved the nation’s economy. Meanwhile, he admitted that it has reached a point that those who attend the eye centre are poor Nigerians Sani, who emphasized that there is no better time to focus attention on the hospital than now , promised to help convey the problems of the hospital to the newly appointed Health Minister and National assembly committees. “National Eye center is a place for the masses to seek and get proper medical attention at an affordable price , but past governments failed to equip and fund it adequately” He lamented. On issue of unlawful encroachment of the hospital land by host Mahuta community members, Sani said it can’t be tolerated and promised to take up the issue and discuss it with appropriate authority. In her response, the Acting Chief Medical Director, Dr. Helen Alen thanked the Senator for the unscheduled visit , but complained that poor funding, High cost of treatment and inadequate access to eye care are some of the challenges militating against the growth of the hospital. She however urged Senator Sani to support the hospital to carry out a free eye surgery on indigent members of Kaduna communities.